AMD took a swipe at industry rival Nvidia today, saying that game developers only make use of the GPU maker's PhysX platform because they're being "paid to do it." 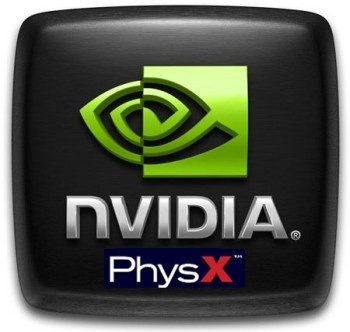 PhysX, for those who don't know, is a proprietary physics engine owned by Nvidia which supports hardware acceleration through either a PhysX PPU (physics processing unit) or, more commonly, a CUDA-enabled GeForce graphics card. AMD, meanwhile, has thrown its weight behind a competing platform, the Open Physics Initiative, which it claims is superior because it doesn't "lock in users to any single platform." Both systems offer complex, realistic physics in videogames, but Nvidia has taken a considerable lead in the race to become the de facto standard. But AMD's Richard Huddy says that has more to do with Nvidia buying its way to the top than with the actual quality of its physics engine. "What I've seen with physics, or PhysX rather, is that Nvidia create a marketing deal with a title, and then as part of that marketing deal, they have the right to go in and implement PhysX in the game," Huddy, AMD's senior manager of developer relations, told Thinq. "[Developers] are not doing it because they want it; they're doing it because they're paid to do it," he said. "So we have a rather artificial situation at the moment where you see PhysX in games, but it isn't because the game developer wants it in there." Huddy compared Nvidia's approach with PhysX to 3dfx's Glide platform, an early 3-D acceleration API that was eventually surpassed by the more open Direct3D and OpenGL platforms. "I think the proprietary stuff will eventually go away," he said. "If you go back ten years or so to when Glide was there as a proprietary 3D graphics API, it could have coexisted, but instead of putting their effort into getting D3D to go well, 3dfx focused on Glide. As a result, they found themselves competing with a proprietary standard against an open standard, and they lost. It's the way it is with many of the standards we work with." AMD's biggest problem at the moment is that no games support the Open Physics Initiative, while dozens of titles offer some degree of PhysX implementation. On the other hand, sticking with the graphics analogy, 3dfx jumped out to an early lead in 3-D graphics acceleration, yet I'd be willing to bet that some of you had never even heard of Glide before reading this, so it's not necessarily an insurmountable obstacle. But what may really take the wind out of AMD's sails is the fact that Nvidia has previously committed to making PhysX an open platform as well, with the SDK freely available to game developers and even competing graphics chip makers. Unfortunately, or at least ironically, the only other GPU manufacturer of note is ATI - which is owned by AMD. Regardless of who comes out on top, an open standard would be better for everyone and AMD plans to make its case for the Open Physics Initiative at this year's Game Developers Conference, which began today. "When you have an open standard, everyone can join in and everyone can make free and well-informed choices," Huddy said, "and it's not about skewing the market with money."